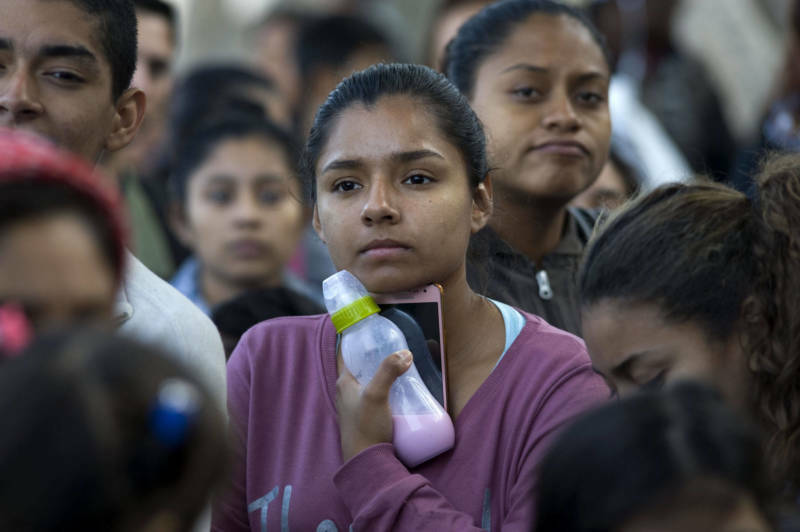 In recent months, thousands of migrants have gathered in Tijuana, hoping for asylum in the United States. Some will be deported before ever stepping foot in the U.S. Others will be detained by U.S. immigration authorities as they wait for their hearings. But some will be allowed to live in the U.S. while their cases wind through the system. Legal experts say if they stay in California, they'll be lucky. The state has a cadre of pro bono attorneys eager to help them navigate the complicated asylum process. In 2017, California lawmakers approved a state budget that included $45 million in funding for immigrant legal services. With that increased funding, the state's Department of Social Services has contracted dozens of nonprofits to offer legal help to thousands of immigrants every year. The state money is spread to organizations throughout California. But regional breakdowns show that nonprofits in Los Angeles and the Bay Area have received the largest chunks of money. These areas may be expensive for migrants, but the data show that having access to legal aid makes a huge difference in asylum cases. Still California's high cost of living continues to push families out of the very places offering the most help. "A lot of our immigrant community are finding themselves having to move outside of Los Angeles so that they can afford to live," said Patricia Ortiz, a lawyer with the Esperanza Immigrant Rights Project. "But once they're there, there is not quite the same amount of resources or support that they would have here," she said. One of Ortiz's clients, Rosa, has been in Los Angeles for about two months. She fled gang violence in El Salvador with her two children. Before Rosa arrived, she pictured Los Angeles as a place full of luxury and natural beauty. Some areas of the city are like that, Rosa said. But her corner of Los Angeles looks and feels like the place she escaped from. 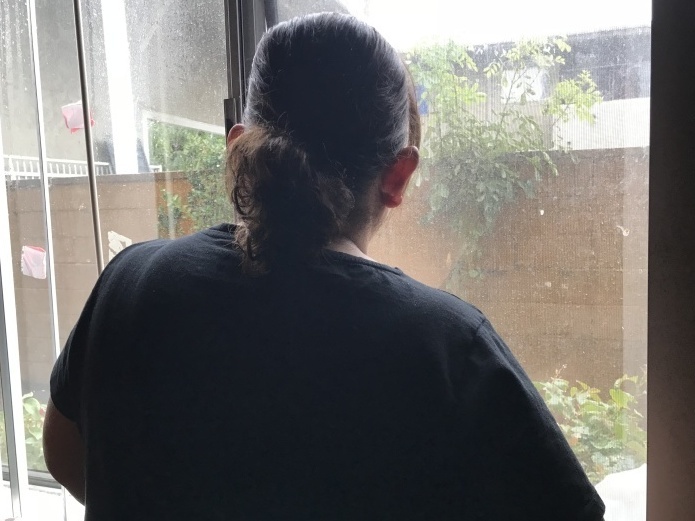 "I sometimes feel as if I were in the capital of El Salvador," said Rosa, who requested that her last name be withheld because her asylum case is ongoing. She was surprised by how much housing costs here. 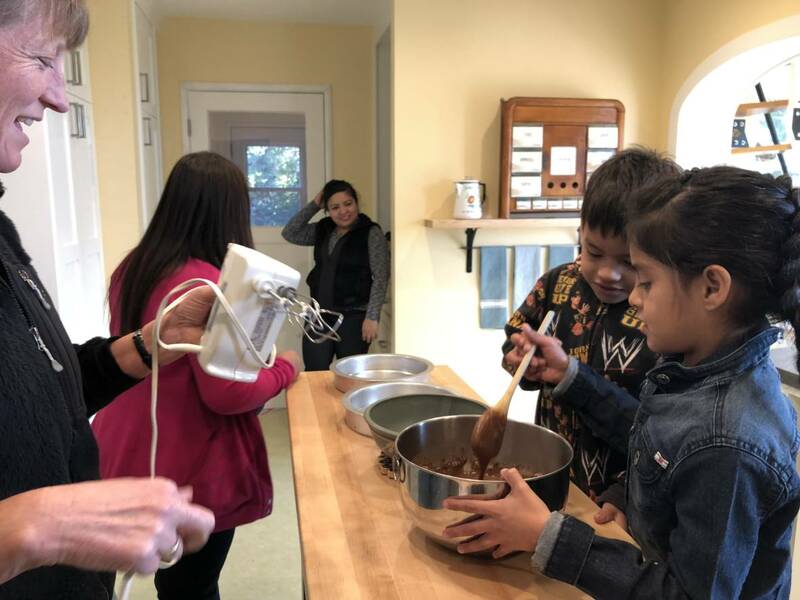 During their first month in Los Angeles, Rosa and her family lived in cramped quarters with another family sleeping right next to the bathroom. "We chose to move because we could not access the bathroom," she said. "We did not feel comfortable entering it." Since then, Rosa has found a studio apartment near downtown LA that rents for $800 per month. But even coming up with that amount will be a struggle. Asylum-seekers are not eligible for a work permit until at least six months into their cases. Many work under the table to get by. Despite these hurdles, Rosa said California provides what she didn't have in El Salvador: Safety, and the chance of a better life for her kids. "There is opportunity here," she said. "Here, you can realize any dream you want." Ortiz said even though it is an expensive place to live, asylum-seekers in Los Angeles have access to people who want to help. For instance, she said, "Getting our clients connected to mental health resources outside of the LA region is very difficult. It's something that we are always struggling with." Jenna Gilbert, a pro bono asylum attorney at Human Rights First, said it's heartbreaking to get calls from clients who plan to leave California months into their case, because they can't afford to stay. She tells them they're not just losing their lawyer. They're leaving behind California's Ninth Circuit for courts that may be more likely to deny asylum claims. "If you move to a small town in Texas, housing is going to be much cheaper," Gilbert said. "But you probably won't have the legal resources. And you also will be in a circuit that is much less favorable to asylum-seekers." "Finding a lawyer is powerfully associated with positive outcomes," said UCLA law professor Ingrid Eagly. In a study that tracked outcomes for families after being released from detention, Eagly and her colleagues found that between 2001 and 2016, released families that did not have a lawyer were only allowed to stay in the country 7 percent of the time. Those who had a lawyer increased their odds to 49 percent. "They're more likely to be able to gather evidence, to work collaboratively with their lawyer and to otherwise prepare and find witnesses who can testify in their case," Eagly said. The data from Eagly's study does not include cases since President Trump took office. Under his administration, asylum denial rates have been increasing. Even on a day off from her job at an El Pollo Loco, Lizeth finds herself cooking. While her kids are at school, she stirs a big pot of caldo de res, or beef soup. "I've always cooked," she said. "I like it." Lizeth, who only wants to use her middle name, had a small business selling food out of her home in Honduras. But she said gangs threatened her for refusing to pay a "war tax," a local form of extortion. She fled with her husband and two of her children, now aged 6 and 14. They've been living in Los Angeles for more than two years, and they're still awaiting a decision in their asylum case. By now, they've settled into a routine. "At six o'clock, we get up and get ready," Lizeth said. They need to be out the door by 7:20 a.m., so Lizeth can get to work by 8:30 a.m. It took Lizeth a year and a half to get her work permit. Her husband just received his. Like other asylum-seekers, they started off renting rooms in houses crammed with other occupants. But now, they can afford the $1,000 rent for their own studio apartment in the San Fernando Valley. It doesn't offer much privacy, Lizeth said. A simple room divider separates the living room from the bedroom. But their home is decked out with festive Christmas decorations. "It's 1,000 percent better," than anything she expected to have, Lizeth said. "I have dreams. I have goals. And I know I can achieve them. In my country, you have goals. You have hope. But everything remains a dream," she said. Two years may sound like a long time to wait for an asylum decision. But Lizeth's attorney Jenna Gilbert said these days "two years is on the shorter end." As years go by, Gilbert worries that judges may start to think her clients no longer have a credible fear of gang members in their home country. She says a claim that may have been strong a few years ago, "maybe today isn't so strong." "Things are changing so rapidly, there's really no way to provide your clients with any kind of comfort, any kind of understanding of what the road ahead might look like," Gilbert said. 'I have dreams. I have goals. And I know I can achieve them. In my country, you have goals. You have hope. But everything remains a dream.' Lizeth, immigrant from Honduras living in L.A.
At this point, Gilbert is hoping that a decision in Lizeth's case is delayed until 2020 or later, when there could be a new president in the White House with more favorable asylum policies. "Now that we're kind of at the halfway point, I'm hoping that cases slow down as much as possible until we can see the end of this administration," Gilbert said. "Hopefully." In the meantime, Lizeth and her family grow more comfortable in California every day. They've put a down payment on a car. Their kids are picking up English in school. Lizeth worries what would happen if they were deported back to Honduras. "They think those of us coming from the United States are carrying a lot of money," she said. "There are many cases of people who went back to Honduras and didn't live more than a month." But for now, Lizeth said, the future is bright. In Honduras, holidays were hard. She could afford to give her kids gifts or a nice meal, but never both. This year, in the U.S., she was able to make a big Christmas dinner and give her children new clothes and shoes. A nice Christmas, she said, like she hadn't had in a long time.